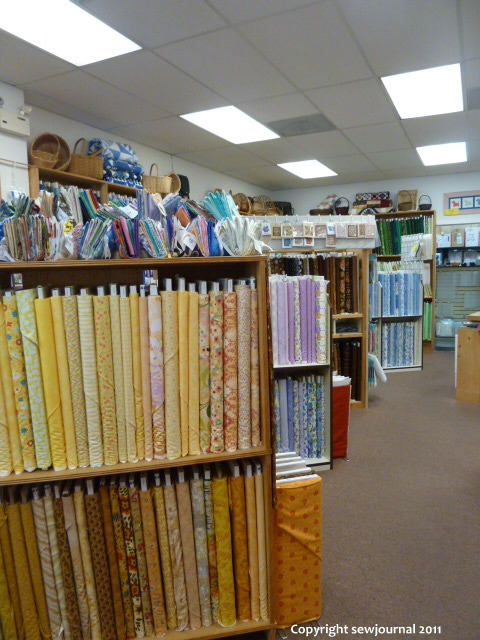 After resting for a few days with friends in Maryland I visited my first quilt shop which was Capital Quilts in Gaithersburg. I needed to buy some Fray Check to finish the wall hanging and they were so friendly and helpful. 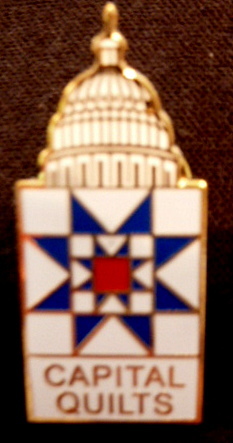 Susan kindly gave me a Capital Quilts pin as it was my first visit and I was all the way from Australia. She then introduced me to Hilary, another lady who worked there and who had migrated to the States from Australia many years ago. 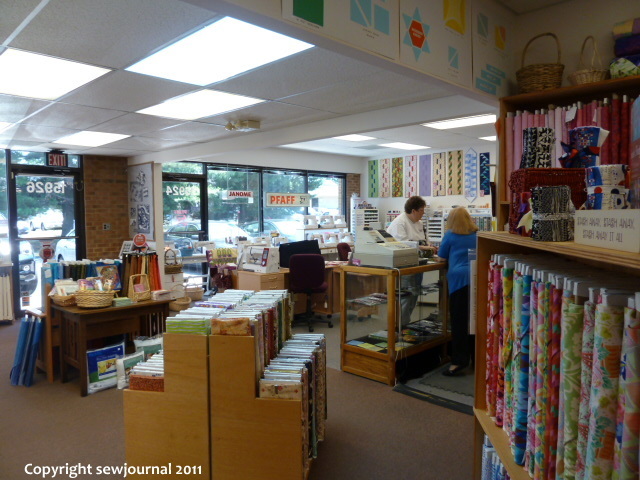 It’s a lovely shop and well worth the visit if you’re ever in Gaithersburg. 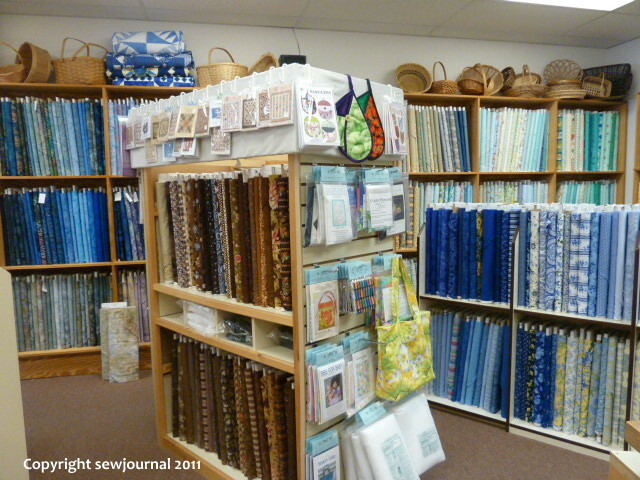 They have a great selection of fabrics and notions, not to mention sewing machines. Here are some photos I took. 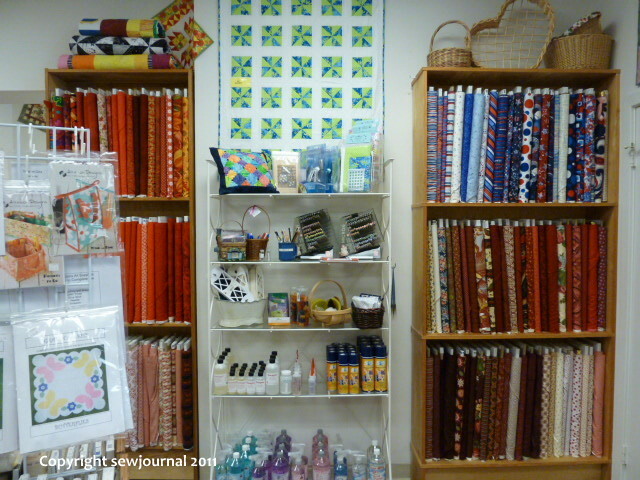 The shop is light and airy and there was a whole other section devoted to books, patterns and a classroom. In my next post I’ll show you my purchases and the next instalment of my tour of the USA. PS Thank you all for all your comments about the rulers and the wedding posts. I did read them all and was interested to hear your views. Thanks also for your kind comments about the wall hanging. Wow, that’s a beautiful shop! Will definitely keep that in mind if I’m ever down that way.